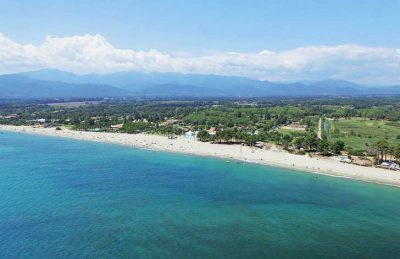 Marina d’Erba Rossa is a 4 star campsite located in Ghisonaccia in the Corsica region of France. 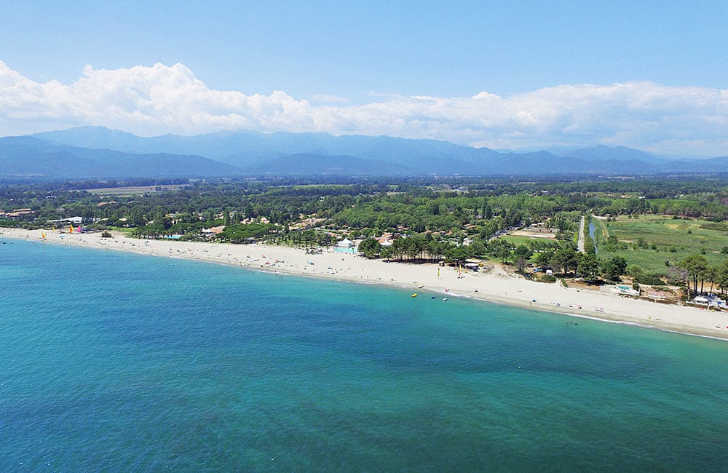 Marina d’Erba Rossa is a lovely 4 star family friendly campsite that lies within an enviable position halfway along the eastern coast of Corsica. The campsite occupies a wonderful location on this fabulous island, nestled between the beautiful Mediterranean sea and the stunning Corsican mountains. With such a stunning location you really couldn’t ask for anything more! The benefits of this fantastic campsite don’t end there as Marina d’Erba Rossa is surrounded by luscious palm trees and Mediterranean plants which give you the feeling that you’ve landed in paradise. If you’re planning to head to Marina d’Erba Rossa campsite with your children then you won’t be disappointed. You’ll not only find a great variety of activities and facilities on-site but the campsite also has its own program of entertainment for kids, a brilliant animal park on site with a variety of animals from across Corsica and a stunning range of things to do and places to see nearby. One of the best things about the campsite is the direct access it has to the beach. The beach is long and wide and covered in soft sand making it perfect for a family holiday. You’ll also find that the warm Mediterranean sea laps gently against the warm sand which is ideal for swimming, sand castle building or just relaxing in the summer sun. The on-site lagoon styled swimming pool is fantastic for families and offers views of the mountains, the beach and the Mediterranean sea. There’s also a lovely sun terrace around the pool which is perfect for relaxing and soaking up the rays after you’ve had a dip in the warm waters. Marina d’Erba Rossa campsite offers a comprehensive selection of activities and facilities on site and also nearby to ensure you have a fantastic family holiday. On-site activities at Marina d’Erba Rossa campsite include tennis, table tennis, football, basketball, boules, mini farm, playground and cycle hire. Facilities available at Marina d’Erba Rossa campsites include WIFI, restaurant, pizzeria, takeaway, bar, groceries, gift shop, games room, animation team, washers and dryers. Accommodation at Marina d’Erba Rossa campsite includes a range of 2 and 3 bedroom mobile homes that are available from Eurocamp and Al Fresco Holidays.